No native populations of Facade exist on Crown Island. This Monster is known only from myths of being the flagship beast of an ancient religious group. Facade is blind and navigates entirely from its hearing and smell. 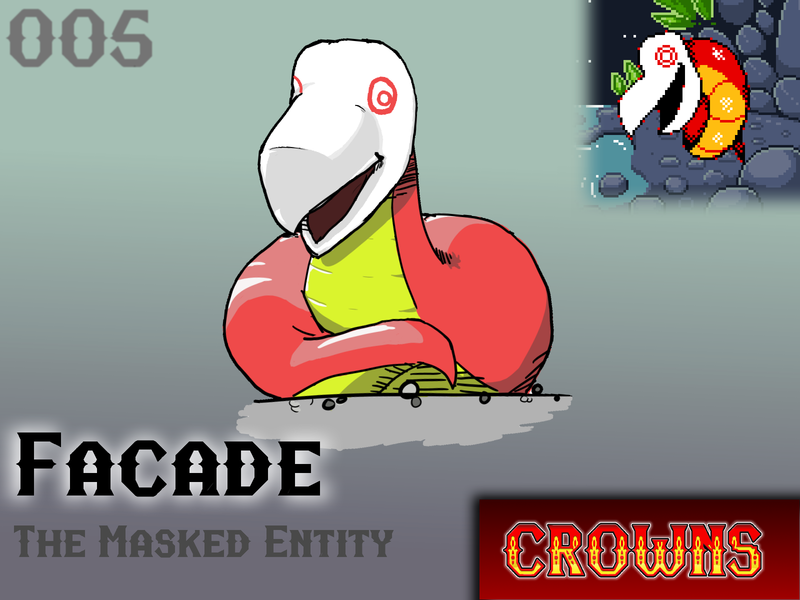 The eye markings on its mask are entirely ornamental. Entering the chamber or tomb of a Facade will result in the beast noticing you and softly sniffing in your direction. This behavior is often confused by humans as a friendly or innocent gesture, similar to that of a pet dog meeting a new person. However, this brute is quick to kill and devour once its curiosity is sated. Will Facade make your team?